For this edition of 15 Minutes of Fame, we spoke with Sherry Flugel. 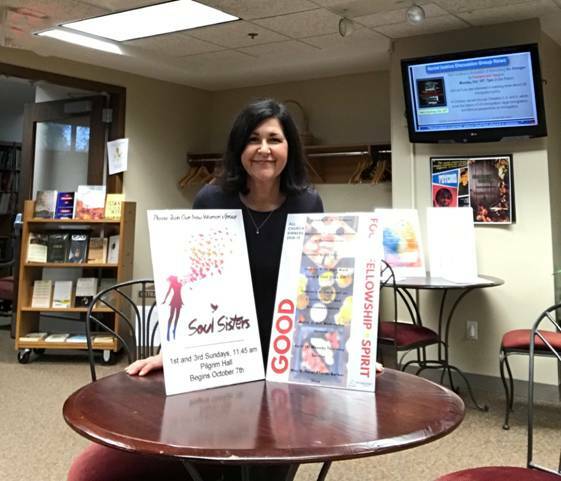 She is the director of communications for the First Congregational Church of Glen Ellyn (FCCGE), which is welcoming, open to everyone, and active in many community events. Our conversation left me brimming with optimism and grateful that Hutchco can assist a wonderful person like Sherry, who enthusiastically supports a welcoming place of hope, to worship, serve, and dream. Sherry came to us looking for durable stick-on pockets to hold brochures that invite people to worship and participate in ongoing community events. Sherry purchased Hutchco peel and stick pockets for her church and community outreach displays. With limited resources, the church needed a cost-effective way to display informative brochures for newcomers at Sunday worship services. 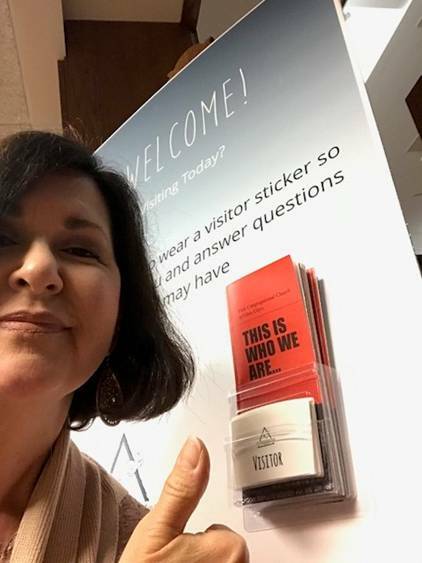 She attached stick-on brochure holder pockets to large poster displays in the building—two posters are right inside the door that most members enter from, and two more posters hang by the sanctuary door. FCCGE believes in the acceptance of everyone who values a genuine commitment to faith, family, and community. Their open arms make a tremendous difference in this world, and we are honored to be a part of their amazing endeavors. We are grateful for wonderful customers like Sherry Flugel who are making a difference. We are proud to know that Hutchco products help to encourage new journeys of faith, dedication to family, and support for their community. Thank you for sharing your beautiful story, Sherry!